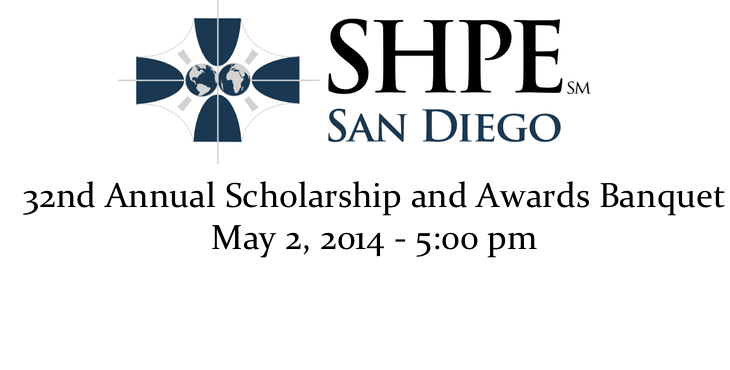 SHPE San Diego is celebrating its 32nd Annual Scholarship and Awards Banquet this year and we want to see you there! Join us as we celebrate SHPE San Diego’s accomplishments, honor our student chapter graduating seniors, announce our scholarship recipients, recognize new professional lifetime members, install our new SHPE San Diego executive board members, and celebrate with our SHPE familia. Tickets are available until 10 PM on April 20th at $50 for professionals (and their guests) and $25 for students/parents/chapter advisors/guests. Late ticket purchases will be available until April 30th at $65 for professionals and $45 for students so get your tickets now! Our MC for the night will be Yaoska Machado, Field Reporter from Univision San Diego. More information about Yaoska can be found on her page at Univision. SHPE San Diego has the honor to have SHPE National President, Barry Cordero, as the Keynote Speaker this year.